Environmental and Experimental Botany, 152 , pp. 97-106, 2018, ISSN: 00988472. 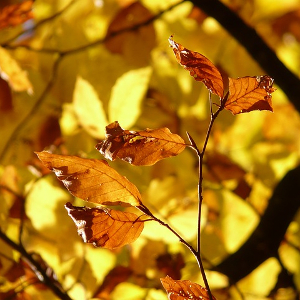 The photosynthetic responses to the combined effect of drought and heat stress were studied in leaves of 19-years-old European beech (Fagus sylvatica L.) trees originating from five provenances in Central Europe differing by altitude (55–1250 m), and grown in the same experimental plot. The measurements were conducted at the beginning of heat waves, under two different conditions: during a dry period (middle of July) and after recovery in wetter period, at the beginning of August. 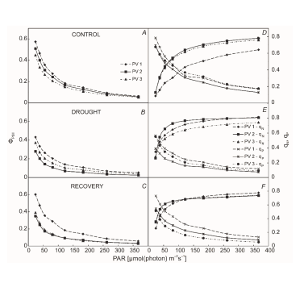 The decreases of stomatal conductance (gs) and net photosynthesis rate (ACO2) during drought and heat wave stress were very similar in all provenances. 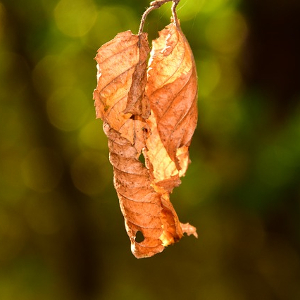 However, we observed distinct response of PSII photochemistry on combined drought and high temperature stress, well associated with altitude of origin of the beech provenances. 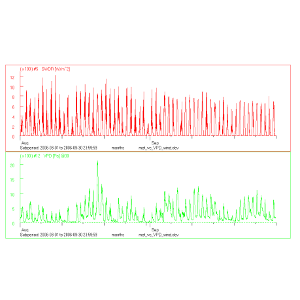 Measurements of pulse amplitude modulated (PAM) fluorescence identified maintenance of a high electron transport rate in beech provenances from high altitudes under drought and heat wave conditions, associated with some decrease of excitation pressure on PSII. This can be explained by enhanced capacity of alternative electron sinks to utilize the excess of electrons as a photoprotective mechanism. 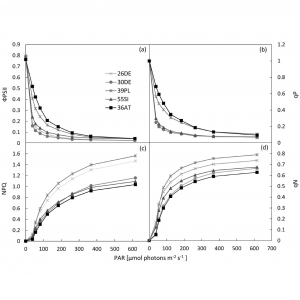 The analyses of fast chlorophyll fluorescence kinetics confirmed the differences in responses of PSII photochemistry between provenances originating from different altitudes. Compared with provenances at higher altitudes, we found more sensitive response (i.e. 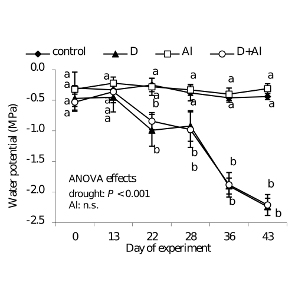 more limited electron transport at the PSII acceptor side and changes in the size of light harvesting complexes) to drought and heat stress, in those growing at low altitudes. 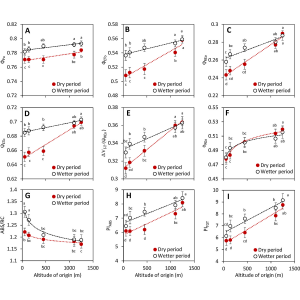 Our results support the hypothesis that the provenances originating from higher altitudes possess enhanced phenotypic plasticity related to photoprotective responses, resulting from the long-term adaptation to marginal mountain conditions. 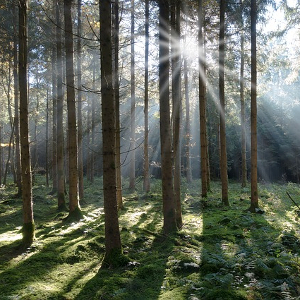 iForest-Biogeosciences and Forestry, 11 (1), pp. 24-31, 2018. 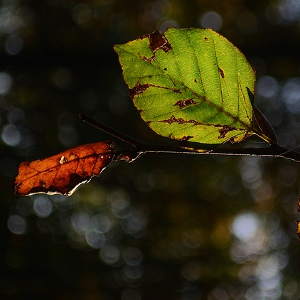 Current climate changes can led to a decline of local beech populations fully adapted to previous climate conditions. In this context, the issue of variation in adaptive traits becomes important. 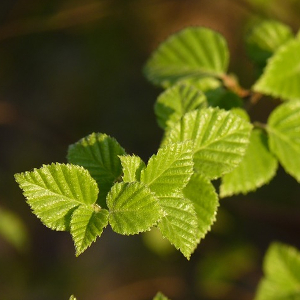 A field experiment with 18-year-old trees of Fagus sylvatica L. was conducted on provenance plot located in Tále (Central Slovakia), where physiological responses of five beech provenances originating from contrasting sites along an altitudinal gradient from 55 to 1100 m a.s.l. 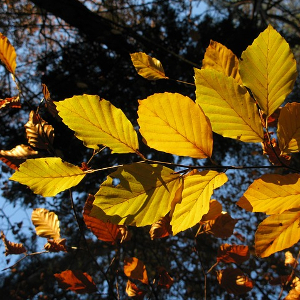 across the range of the natural beech distribution were studied. 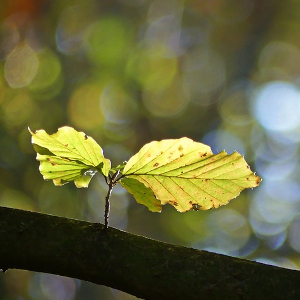 Stomatal characteristics, parameters of chlorophyll a fluorescence and gas exchange parameters were determined. 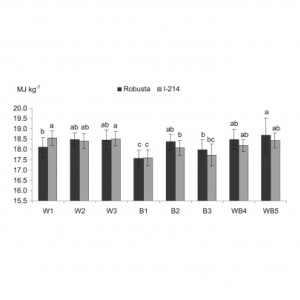 Overall, we observed a significant increase in physiological performance at the leaf level with increasing altitude of origin. 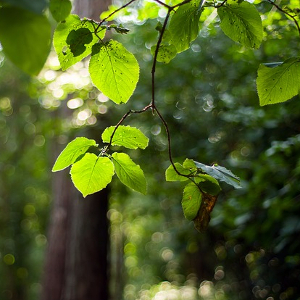 Provenances from the higher altitudes showed higher CO2 assimilation rate, stomatal density, potential conductance indices and photochemical efficiency, and lower capability for dissipation of energy by heat. 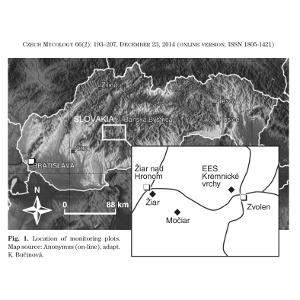 A similar pattern of response was recorded in relation to the precipitation regime of sites of origin. Moreover, in the context of the temperature regime, several negative trends were observed. New Forests, 48 (3), pp. 463-477, 2017. Geochronometria, 43 (1), pp. 48-58, 2016, ISSN: 1897-1695. 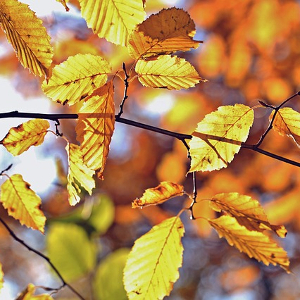 The main objective of the study is to facilitate cross-dating of sensitive tree-ring series from living European beech (Fagus sylvatica L.) trees in the absence of a regional chronology. The main idea lies in the preliminary dating of marker rings or ring patterns visually identified on the wood (before the ring-width measurements), which is independently validated through a moving correlation between a tentative reference chronology and instrumental climate records (after the ring-width measurements). 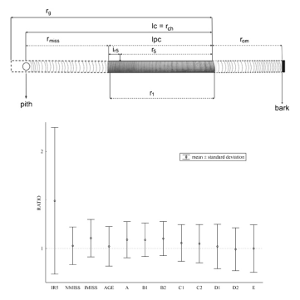 Following the detection of low moving correlations, potentially misdated segments or series are re-examined and a new tentative reference chronology is constructed. The process is repeated as long as a higher correlation with climate is obtainable. 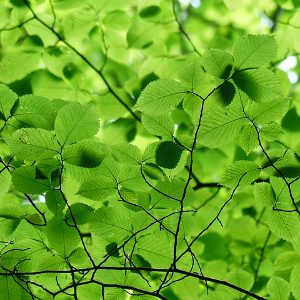 The applicability of this method was investigated on three difficult-to-date sets of tree-ring series of beech trees which were growing at temperature-or precipitation-sensitive locations in under-canopy or canopy positions. A good ability of the combined method for the cross-dating was practiced on datasets almost impossible to cross-date by commonly used approaches. Highlighting the actual correlation of ring widths with climate in tree-ring series makes the cross-dating process more independent from human decisions, so the combined cross-dating has the potential to improve the reliability of various dendrochronological studies. Front. Plant Sci., 7 (751), 2016. Front. Plant Sci., 7 (886), 2016.
i-Forest, 9 (6), pp. 960-969, 2016, ISSN: 1971-7458. 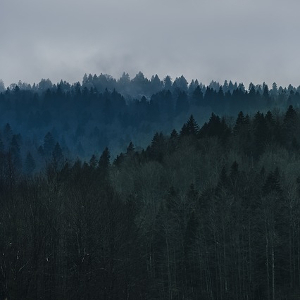 The increasing frequency and severity of extreme weather events, especially droughts, arising from on-going climate changes negatively affect productivity and stability of forest ecosystems. Understanding species responses and suitable ecotypes that are able of adapting to new environmental conditions is increasingly important. 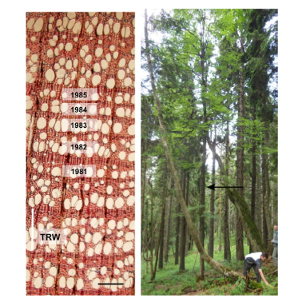 The objective of this study was to quantify the relationships between the inter-annual stem circumference increase (SCI) of five European beech (Fagus sylvatica L.) provenances and weather variability during 2012-2014 in a provenance trial located in central Slovakia. SCIs were extracted on daily and weekly scale from hourly data of circumference changes. 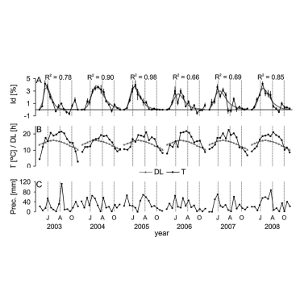 To detect the main environmental factors influencing SCI seasonal dynamics, intra-seasonal moving correlation functions were calculated. 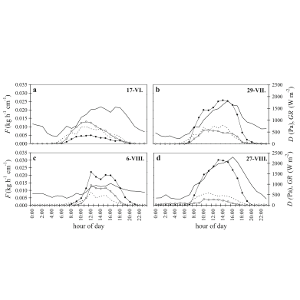 All five provenances responded synchronously to weather conditions, with high correlations among them during the growing season on both daily and weekly scale. 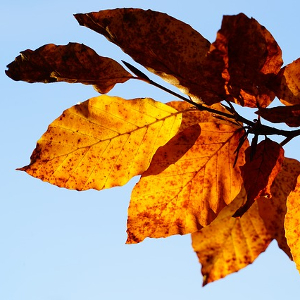 The photoperiod exhibited a synchronizing effect on the seasonal peak of SCI as a sign of tree adaptation to long-term seasonal variations in climate. 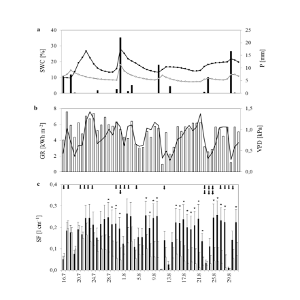 Temperature was the most significant factor influencing SCI dynamics at the beginning of the season. 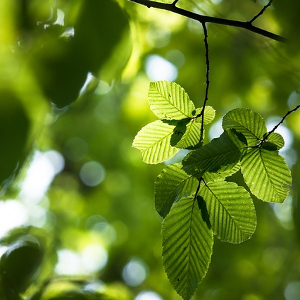 During the summer months, a precipitation deficit, heat waves and the consequently decreased soil water potential significantly affected the SCI of young beech trees, despite the fact that the provenance plot was situated in an area of optimum beech growth. Not only the severity and duration were important but also the timing of drought within a season. Within all seasons, the lowest SCI values were recorded for the provenance from the lowest altitude and the most oceanic climate (northern Germany). A comparison of daily and weekly SCI with first derivatives of growth functions indicated that SCIs were closely related to theoretical incremental processes, especially on a weekly scale. 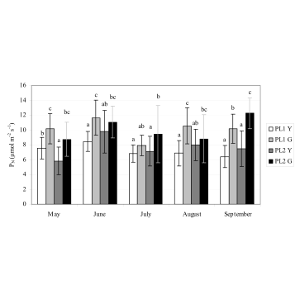 In young beech trees, SCI seemed to represent an appropriate proxy for studying intra-seasonal incremental processes. A newly designed SASB (self adjusting sharp beginning) function fit these processes better than the Gompertz function. European Journal of Forest Research, 134 (6), pp. 1075–1085, 2015. Ecohydrology, 8 (3), pp. 378–386, 2015. Photosynthetica, 53 (2), pp. 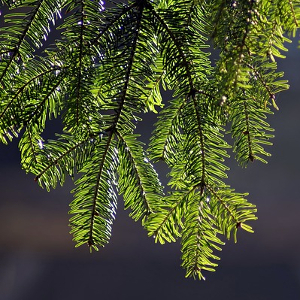 187–194, 2015.
iForest, 7 , pp. 150-155, 2014. Dendrochronologia, 32 (4), pp. 327–335, 2014. Czech Mycology: publication of the Czech Scientific Society for Mycology, 66 (2), pp. 193-207, 2014, ISSN: ISSN 0009-0476. Biologia, 68 (6), pp. 1118–1122, 2013. Plant Soil and Environment, 59 (10), pp. 446-451, 2013. Biomass and Bioenergy, 55 , pp. 68–72, 2013. Chemical Speciation and Bioavailability, 25 (3), pp. 209-215, 2013. 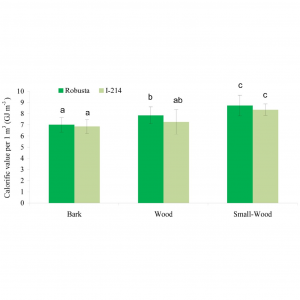 European Journal of Forest Research, 131 (6), pp. 1737–1746, 2012. Polish Journal of Environmental Studies, 32 (2), pp. 447-453, 2012. Dendrochronologia, 29 , pp. 227-235, 2011. Journal of Forest Science, 57 (12), pp. 547-554, 2011. Tree Physiol, 30 (2), pp. 205-213, 2010. Beskydy, 3 (1), pp. 55-64, 2010, ISSN: 1803-2451. Biologia, 64 (3), pp. 507-511, 2009, ISSN: 1335-6372. Beskydy, 2 (1), pp. 29-38, 2009, ISSN: 1803-2451. Beskydy, 1 (3), pp. 39-46, 2008, ISSN: 1803-2451. 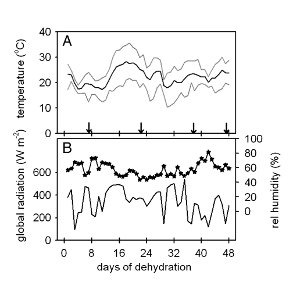 Journal of Forest Science, 53 (3), pp. 93-100, 2007. Ekológia, 25 (1), pp. 1-12, 2006, ISSN: 1335-342X. Ekologia, 23 (2), pp. 152-161, 2004, ISSN: 1335-342X. Silva Balcanica, 3 (1), pp. 91-102, 2003, ISSN: 1311-8706. Biologia, 57 (4), pp. 533-540, 2002, ISSN: 1335-6372. Ekologia, 21 (2), pp. 42-52, 2002, ISSN: 1335-342X. Ekologia, 20 (2), pp. 200-209, 2001, ISSN: 1335-342X. Journal of Forest Science, 47 (9), pp. 377-386, 2001, ISSN: 1212-4834 2001.